My true story starts about one hundred years ago in a village in a rural part of central Ohio. There a family (mother, father, and six children) had a small home with enough land to grow food for themselves, including apples, walnuts, and golden raspberries, as well as flowers to sell for income. The parents were such good cooks that they also ran a local restaurant. The youngest daughter married a boy from a nearby small town. They were ambitious and both went to work out of the home to pay for their starter house. The mother, now a widow, took care of her two grandchildren, a girl and a boy while their parents were away at work. She cooked for them every day, and the boy learned to make pies from her. Eventually, the daughter and her husband decided to leave the countryside and move to a suburb of a large eastern city. The husband bought a store, and he and his wife worked long hours to be successful. The wife continued to cook, but the food she bought came from the large grocery store nearby, and much of it was processed and packaged. There was a yard large enough to grow vegetables behind their home, but nobody had the time or interest in doing that. In fact, the father of this family believed that only poor country people too ignorant to know better would want to grow their own food. Meanwhile, her husband was diagnosed with diabetes and high blood pressure and two of her three children also had serious weight issues. Her eldest daughter had to have stomach surgery too, and her youngest son became morbidly obese. The other son didn’t cook at all, and he married a girl who had never cooked. All their food is prepackaged or bought at fast food outlets. This American family is middle class, educated, and health conscious. They use doctors and read articles about medical issues. They didn’t realize that they were choosing a way of eating that would give them obesity, diabetes, and other serious diseases. The information- why eating foods produced by industrial farming in the now normalized manner of huge portions with meat at almost every meal is unhealthy- was not available to them through mainstream media outlets. Changes in the nutrient quality of the food itself as it is grown on exhausted soil through industrial agribusiness processes; the inexpensiveness of food (the U.S. has the cheapest food in the world! ); and the idea promoted by advertising that food (and I use the word loosely!) should be processed and pre-cooked for immediate consumption (let’s not waste any time on that dreary chore of cooking!) are some of the complex causes for this weight gain in many Americans, but even doctors seem unaware of this or unwilling to talk about it to their patients! 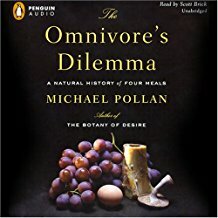 I suggested in this story that there are furthermore two important cultural reasons for the disruption of healthy eating patterns: the loss of the skill of cooking in many families as processed and fast foods replaced real sit-down meals, and the deep alienation of Americans from the sources of their food. 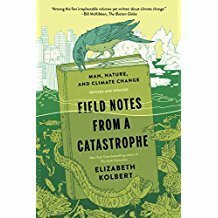 Joel Salatin, Michael Pollen, and Barbara Kingslover write about these major shifts in our American traditions. Another great way to get into cooking is to grow one’s own food. This doesn’t have to be a big deal: a couple of containers with herbs or tomatoes or salad will work to begin. I have no garden in the apartment I rent in Dallas (though I am in the process of looking for a community garden to join), and my balcony is too shaded to grow much. However, I have installed a grow light (total price $35 with bulbs) in my kitchen to raise rosemary, cilantro, mint, basil, and chives this winter. And I have all these herbs right at hand when I’m cooking! Chives, rosemary, German thyme (hidden), spearmint, basil, and coriander under grow lights. Cooking is a better choice for using your time, and growing food is the best choice for reconnecting with the earth beneath your feet! Walking out to do errands at 4 pm Wednesday under oak trees; not a person in sight! Downtown Dallas at evening weekday rush hour; I’m walking home from the butcher. but the actual experience of walking here has been positively surreal! Coming from eight years of living in Montreal, and taking for granted that people walk whenever possible, I was not prepared to find myself the only person walking around the streets of Dallas. This sounds like an exaggeration, but truly it is not! I live in the Oak Lawn section of town, https://www.walkscore.com/TX/Dallas, an half an hour walk from downtown and to most of central Dallas. It is a beautiful part of the city (and Dallas is surprisingly lovely), but at any hour of the day or night, the only people on the street are the dog walkers, an occasional jogger, the indigent, and me. Now that might be understandable in the summer months when the temperature is in the triple digits Fahrenheit (38 degrees Celsius), but there is no reason for this at a time of year when the weather is sunny, cool, and perfect! But the citizens of Dallas are so habituated to their cars, that I don’t think that they even notice the change in weather!! This is the first time in my life I have lived in a car-centric place, and it is really bizarre! Even during morning or afternoon rush hours, the city feels as if it is deserted. There are, of course, thousands of people sitting in their cars, but the cars are closed (air conditioning seems to be a necessity no matter what the weather! ), so I have the uncanny sensation that I am all alone on the street! It is not so much that the city is hostile to pedestrians as that it seems to have decided that since so few people of any standing (read young, well-to-do & white) actually use them, Dallas presents places to walk without the accompanying functionality of those spaces. There are sidewalks along most streets (though not, interestingly in the very wealthiest neighborhoods), but they are often closed by construction with no where to go, for the walker, but in the street with the cars. There are crosswalks at most corners, but the walk lights are often calibrated to give the pedestrian about ten seconds to get across before they change to a flashing stop, and this is when the pedestrian signs work at all. If one is an older or disabled person, the crossing is impossible. It is also really dangerous to cross a busy street even with the light as Dallas, unlike Montreal, permits a right turn on red; and drivers are so unused to people in the crosswalk that they often turn without looking. I have taken to getting the attention of the driver in the right hand lane (even if I have to knock on the car hood to make him look up from his cellphone) before the light changes and I head across the road!! Also, Dallas is structured with a number of high speed highways and tollroads dividing the city into various neighborhoods and districts, and walking the overpasses across those highways with the traffic coming into or out of them is not my favorite part of walking Dallas. Still, I continue to explore Dallas on foot. In the past two months I have seen some beautiful parks (including along the Turtle Creek near my home), and visited some of the fine libraries & museums in the town. And when I do pass anyone on the street, no matter his or her race or aspect, I am always greeted by a warm “How are you doing, Ma’am? You have a good one!” which is one of the perks I love of living in a Southern town. It would make me happy to see Dallas switch into a more sustainable mode of living. If the habit of driving could be replaced with the habit of walking, especially for folks commuting locally and doing errands in their neighborhoods (and yes, I am one of the few people trundling my rolling shopping cart to the nearby grocery store with me- to my daughter’s chagrin!) Dallas could become a healthier more integrated town. which means that I will be walking during the middle of the day & not during the rush hours!